The “cool and stylish heroine kicks it up a notch” (Terry Fallis, author of Best Laid Plans), in the gripping fourth installment of Ian Hamilton’s Ava Lee Series. The free book is available in the iBookstore and comes in at 400 pages, a 1.6MB download. Let us know if you’re a fan of this Ian Hamilton series around Ava Lee. 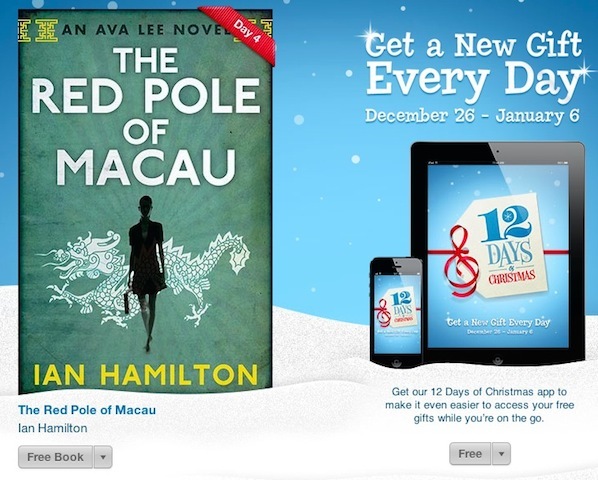 Click here to download The Red Pole of Macau while it’s free.